The rental of premium office for lease in Ho Chi Minh City moved up in the third quarter this year because supply cant’ meet high demand, according to Jones Lang LaSalle’s ( JLL) report in the Pacific Asia region. In its report, JLL said that HCMC office for lease market has seen a seven percent year on year increase in rental reaching US$635 per square meter a year. With the present rent level, the city has ranked as one of 20 cities with the highest office rent in the region. Notably, an office building for lease in HCMC’s downtown hit a record high rent in nearly half a decade with $936 per square meter a year. According to JLL, office market in HCMC is becoming “hot” since many multinational corporations have been pouring investment into the Southeast Asian nation. However, office supply is five times lower than Bankok’s in Thailand; as a consequence, price of premium office continues rising relentlessly. 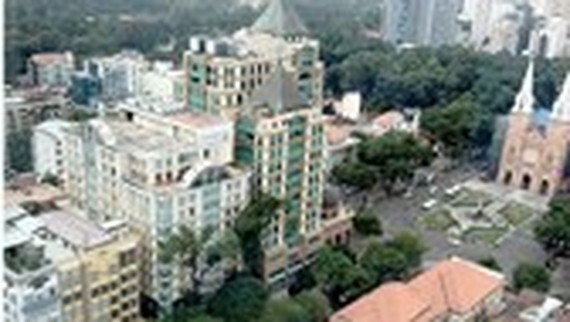 Furthermore, financial corporations are willing to spend on premium office in the southern hub of Vietnam. Bank and financial service sector are leading in demand of high quality office. CB Richard Ellis Vietnam (CBRE) announced that average commercial premise rents of grade-A offices have leaped from $35 per square meter a month in the second quarter to $43 per square meter a month in the next quarter. 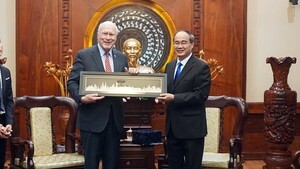 CBRE said that more and more international companies open their offices in HCMC making the market more bustling. Available empty offices have been filled soon. A CBRE representative said that companies' trend of moving to high quality offices has led to price rocket which is an incentive for investors to build premium office buildings. Hence, the company forecast that the supply will increase in 2019 with one grade-A office building and four grade-B office buildings. Premise rent of the two kinds will be surged in the next year. In reality, for a half of year, just a few office for lease projects have been greenlighted in HCMC while demand for startup company is high; accordingly, price of grade-A office building have gone up. Not only monthly rentals of office buildings for lease in District 1, 3 but also in district 4, 5 have raised by 20 percent to 30 percent compared to the price when investors inaugurated the buildings.